Alhaji Faruk Malami Yabo of the All Progressives Congress (APC), in an online poll that attracted 2,243 votes, has defeated other aspirants within the APC and the Peoples Democratic Party (PDP) eyeing the exalted position of the Sokoto State Governor. 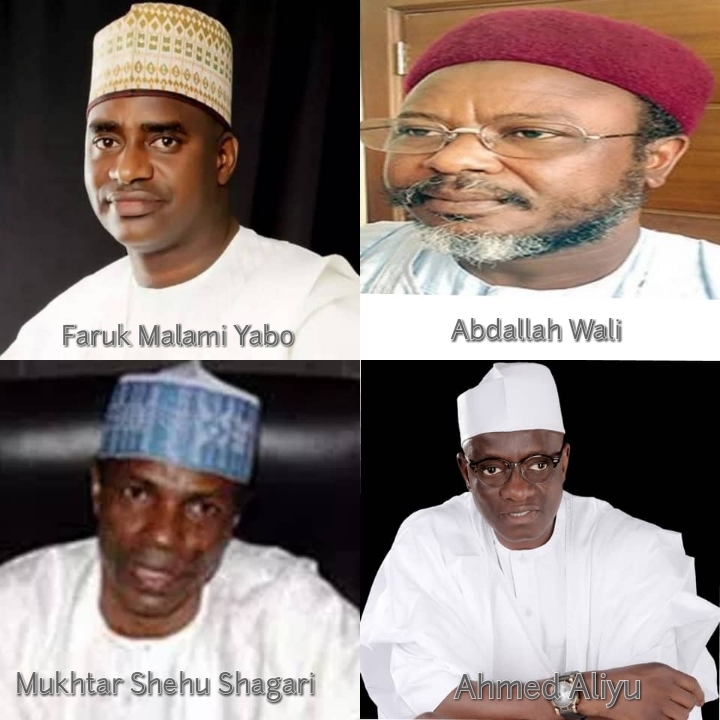 Aspirants in the poll include former Deputy Governor and Water Resources Minister, Mukhtar Shehu Shagari, serving Senator Ibrahim Danbaba, Ambassador Abdallah Wali and Alhaji Ahmed Aliyu. Others were Alhaji Yusuf Suleiman, Dahiru Yusuf Yabo, Barrister Abubakar Sanyinna, Senator Abubakar Gada, Alhaji Ahmed Yushe’u Kebbe and Professor Lawal Bashar. While the stage is gradually getting set by the breaking of each day, these aspirants seeking to occupy the Sokoto State Government House come 2019 are already indicating interest with their posters flooding most roundabouts within the state capital. In answer to the question “who becomes the next Sokoto State Governor”, if the gubernatorial election were to hold today and one of the aspiring candidates listed is to be chosen? 4% of the respondents with 86 votes said they would vote for Professor Lawal Bashar while 118 votes went to Alhaji Ahmed Yushe’u Kebbe. Alhaji Ahmed Aliyu had 110 votes, Ambassador Abdallah Wali and Senator Abubakar Gada with 123 votes each, Dahiru Yusuf Yabo polled 126 votes, Barrister Abubakar Sanyinna has 131 votes, Alhaji Yusuf Suleiman polled 132 votes with serving Senator Ibrahim Danbaba having 136 votes. Former Deputy Governor and water resources Minister, Mukhtar Shehu Shagari came second with a total votes of 145, while Alhaji Faruk Malami Yabo topped the poll with 1013 votes marking 45% of the total votes. Sokoto, the seat of the Caliphate, like most states of the federation will certainly be an interesting political battlefield come 2019. This is simply because nearly all the heavyweights in the game of politics might be in the ring fighting skin fiercely to achieve the golden belt. As the game hots up the incumbent Governor, Aminu Tambuwal is said to have entered into a secret agreement with a serving Senator from his senatorial district, Senator Ibrahim Danbaba, who recently defected to the PDP in order to become his anointed candidate and eventual trusted successor. The poll conducted by www.nigeriannewstrack.net is significant, because naturally, Nigerians would ordinarily have expected that, the Seat of the Caliphate will be greatly affected by the decamping of the Former Speaker of the House of Representatives, Governor Aminu Tambuwal, but instead, the soaring popularity of Alhaji Faruk Mallami Yabo seems to be making the State one of the strongest hub of the ruling All Progressives Congress (APC). Malami Yabo who is described by many as a seasoned and experienced technocrat, served as commissioner for Finance under former Governor Aliyu Wammako and he is regarded as one of the biggest political heavyweight in Sokoto. A professional accountant of repute, who was credited with the improvement of the state’s internally generated revenue, bringing Sokoto State second, only to Lagos State, which is the richest state in Nigeria. Yabo studied Public Administration at the Bayero University Kano and also holds a Master’s degree in Public Policy Administration (MPPA) from the same University. He attended the Harvard University, Kennedy School of Government where he studied Public Financial Management; and University of Manchester, Manchester Business School where he studied International Public Sector Accounting Standards (IPSAS).